Here are some great new ideas to use your iPad in your classroom, K-12 and beyond! The iPad, as we all know, is a great tool for education. We are hoping that you can use at least a few of these new and creative ideas. Jonathan Wylie, a Google Apps Certified Instructor and Instructional Technology Consultant from Iowa, USA. Please take time to check out his blog at http://jonathanwylie.com. Find Jonathan on Twitter at @jonathanwylie. Meg Wilson, an Apple Distinguished Educator, special education teacher and technology specialist from, Connecticut, USA. Please take time to check out her blog at http://iPodsibilities.com. Find Meg on Twitter at @iPodsibilities. 1. 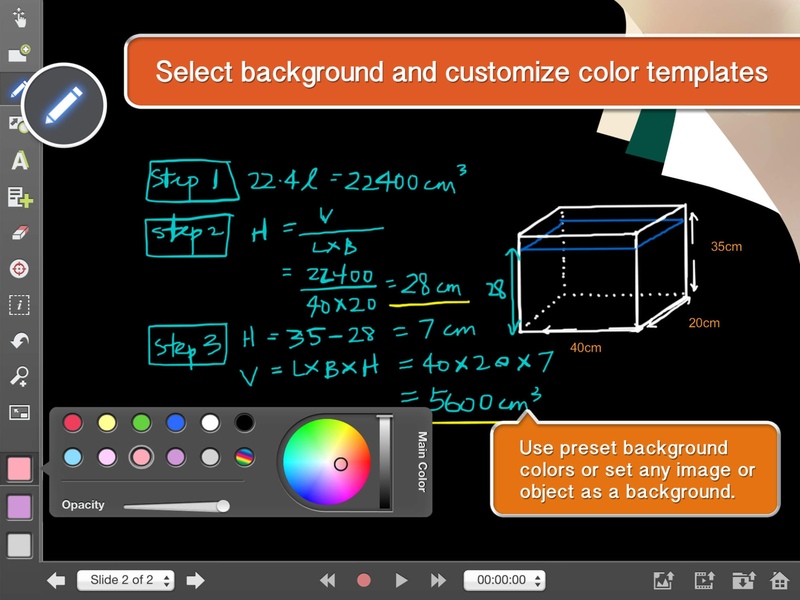 Use your iPad as a document camera with the Stage Interactive Whiteboard and Document Camera. With this app, and the help of a dedicated, or DIY, mount you can use your iPad as a document camera, annotate over anything you set under the camera, and even record what you show. Got another $10? Make your own microscope attachment for up to x175 magnification! 2. Create 3D models with 123D Catch. You can create 3D models of anything in your classroom simply by taking pictures of it using this innovative app. Has your school invested in a 3D printer? Use your favorite scans to print the 3D models you create in the app. 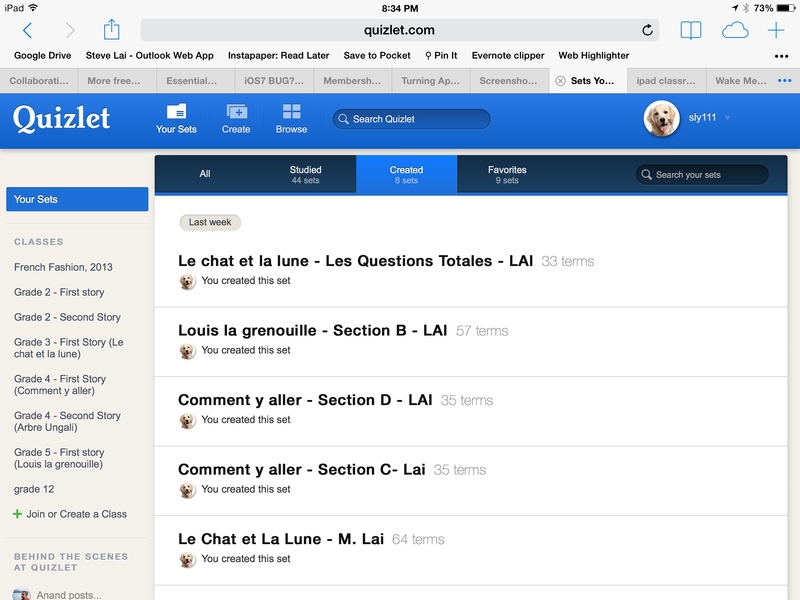 3. Review almost any academic topic using the Quizlet app (FREE). Quizlet is a completely free resource that allows you to create flashcards for your students. Interactive games can also be done on the web. Project them for great review as a class! An optional Teacher account with extra features is available. Students can also practice individually at home for review for upcoming tests. You do not necessarily need the app, as it is a web-based service as well. Run it straight from your browser. 4. 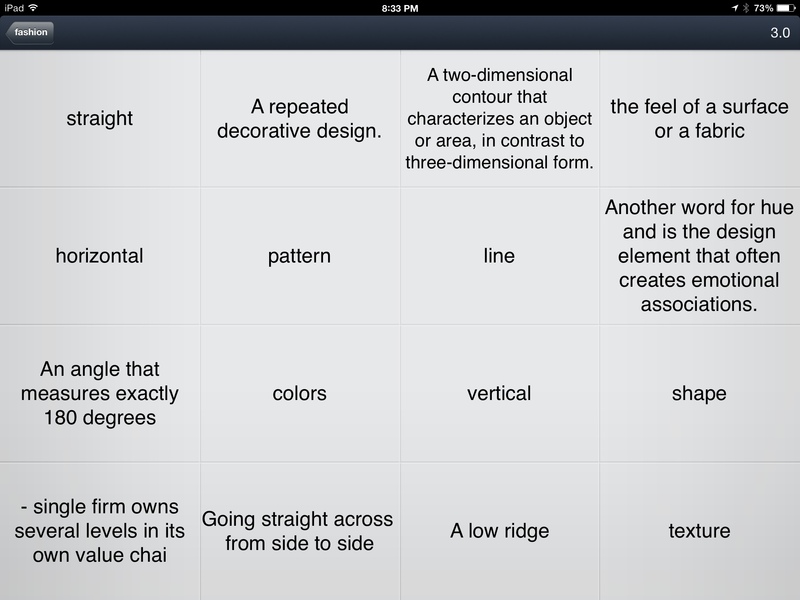 Use your iPad as a “game show” – style soundboard. 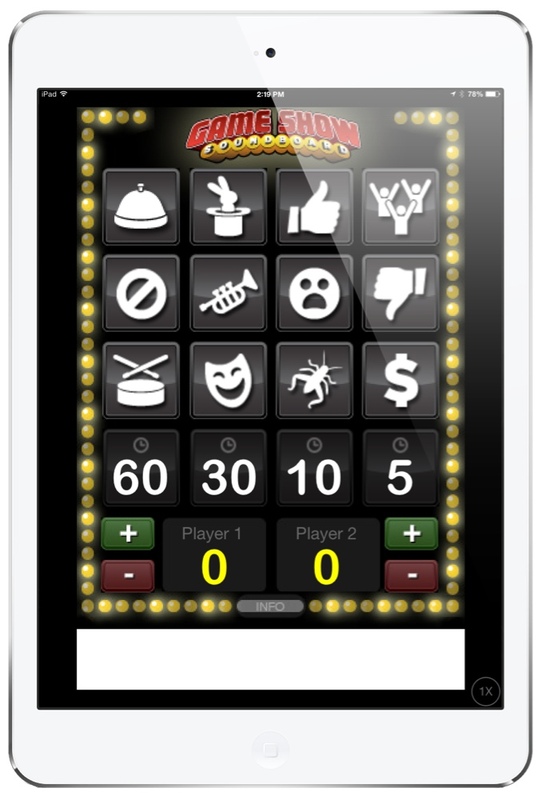 Play review games (with the aide of technology or without) and use special sound effects in your class using apps such as Game Show Sound Board. Younger students will love these special audio effects. 5. Build Posters using great photography apps like Diptic, Pic Collage and Over. Have lots of interesting photos to share? Stitch them together using these apps, print them off to display in your classroom! Your students can create poster projects containing multiple images displaying what they have learned. Students and teachers can then add text using the Over app. 6. Use your iPad as a music playlist manager. Do you sing and/or listen to a lot of songs in class? You can choose to use iTunes to create playlists but did you know that you can easily create playlists in YouTube as well? 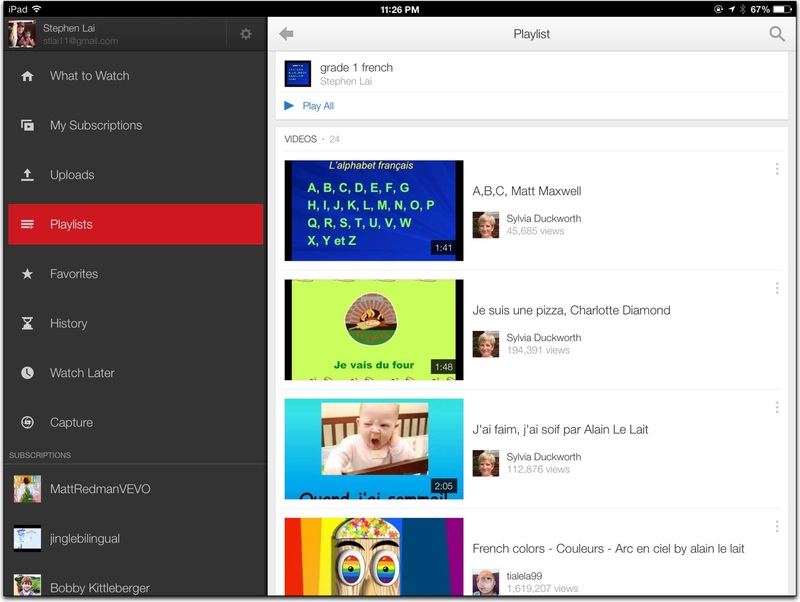 Find essentially any song you wish on YouTube and play it on your iPad! Better yet, use apps such as Musi to stream your music if you have a strong wifi signal, or Instatube to save your music for offline viewing/listening. a. Have pre-determined songs for transitions/lining up/cleaning up/deskwork using the Pocket Pied Piper app ($1.99). Primary-aged students can be guided to follow certain commands based on what is played. Songs can be changed to your own personal collection as well to suit the tastes of older students. b. 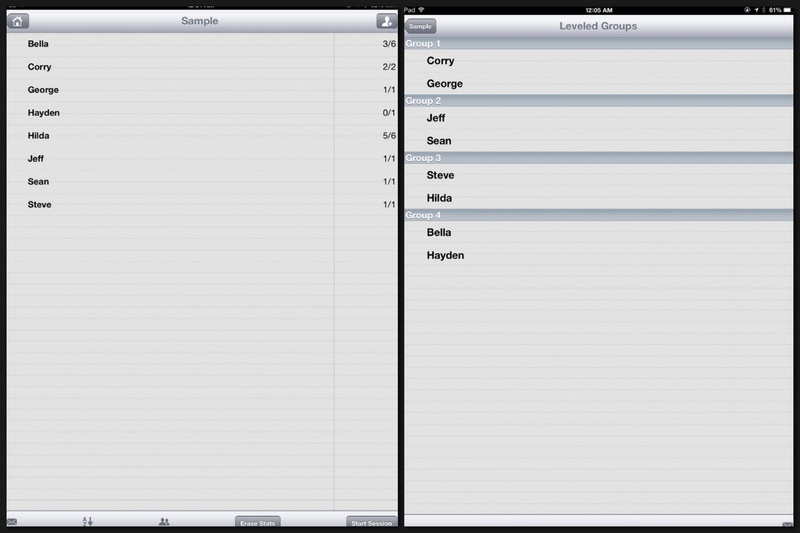 Use visuals on your projected iPad with the app Silent Light ($3.99). The iPad will monitor noise levels and you as a teacher can set what level is appropriate for each particular activity. Set a goal for points your class to achieve to earn rewards. 8. Create a special effects movie with the Doink green screen app. Recreate your favorite Sci-Fi movies or your own mini blockbuster with the aid of a green sheet and this innovative app. Film your scene in front of a green screen, then layer your background on top if it to create an awesome special effect! Export your video to the Camera Roll and it is ready to be edited further or combined with more clips in iMovie. You might also want to take a look at the Action Movie FX app. 9. Record Podcasts with USB Mics. The iPad is a great multimedia device, but the microphone is not of the highest quality for recording professional sounding audio in video or for podcasts. However, with the help of Apple’s Camera Connection Kits, you can connect good quality USB mics and other peripherals to use with your iPad. 10. Create multimedia eBooks with Book Creator. One of the best uses for the iPad in education is digital storytelling apps, and they don’t come much better than Book Creator for iPad. Over 3 million multimedia eBooks have been created with just this app! You can add text, images, video, audio and more. Choose from over 50 fonts, draw your own illustrations, and send your finished product to iBooks, Dropbox, or share by email. Try it out for free! 11. Let the iPad choose! Ever have trouble deciding who gets to answer in class? I still see teachers with a can of 25 names on Popsicle sticks with their students names on them. The iPad can choose names randomly. Also, Do you have difficulty choosing people for group projects? There are various apps that can do this for you. Check out Pick Me! ($1.99), which can keep a standing record of correct and incorrect responses that the students give. The app is able to choose, based on their individual percentages of correct answers, leveled, random and balanced groups. Read: Let the iPad choose! It's the fair way! 12. Capture metacognition with Explain Everything. We talk a lot about differentiated instruction, but not enough about differentiated assessment. Using Explain Everything ($2.99), students can show you (and tell you!) what they know in a way that works for them. Explain Everything is a screencasting app that allows students to “annotate, animate, narrate, import and export almost anything to and from almost anywhere.” Whether students demonstrate their understanding of a math concept, summarizing skills, or phonemes, Explain Everything allows you to capture students’ thoughts while viewing their work. 13. Share your students’ learning experiences with families and other schools using Instagram. 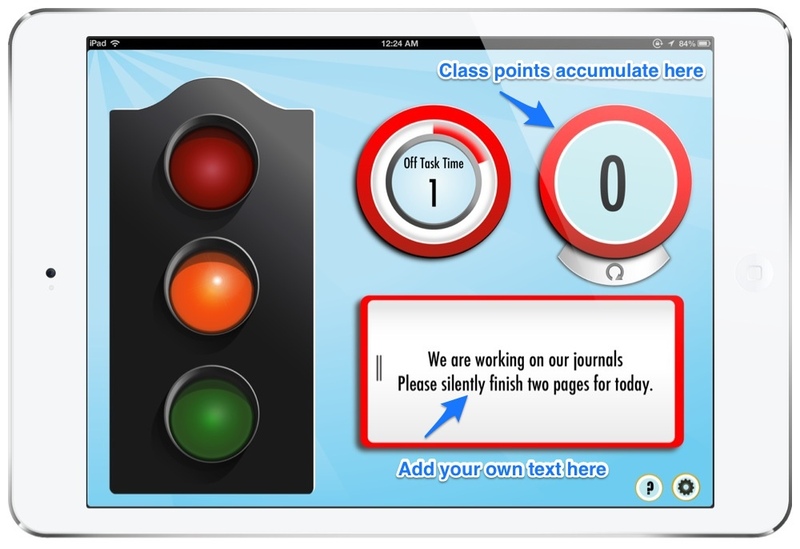 Looking for an easy way to share your classroom with families and other educators? Join Instagram (for free)! Using the iPad’s camera, you can capture photos and videos to quickly post to Instagram, where families and other educators can celebrate your students’ learning right along with you. 14. Augment reality with Layar or Aurasma. Augmented reality can change the way your students see the world by offering additional digital information to real objects that can only be seen via apps like Layar (free) or Aurasma (free). Post a blank map or timeline, where teachers and students can add different types of multimedia content that can be viewed depending on age, ability, and/or curriculum. 15. Collaborate with other classrooms using video conferencing and Subtext. We should never let our students think that their classroom is just the four walls around them. 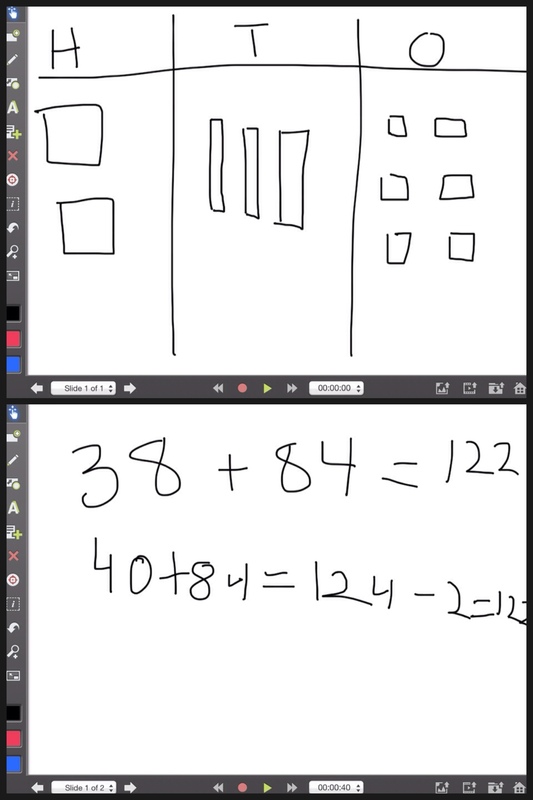 It is essential that students know that the world is their classroom, and the iPad is a great way for students to connect and collaborate with students anywhere in the world. 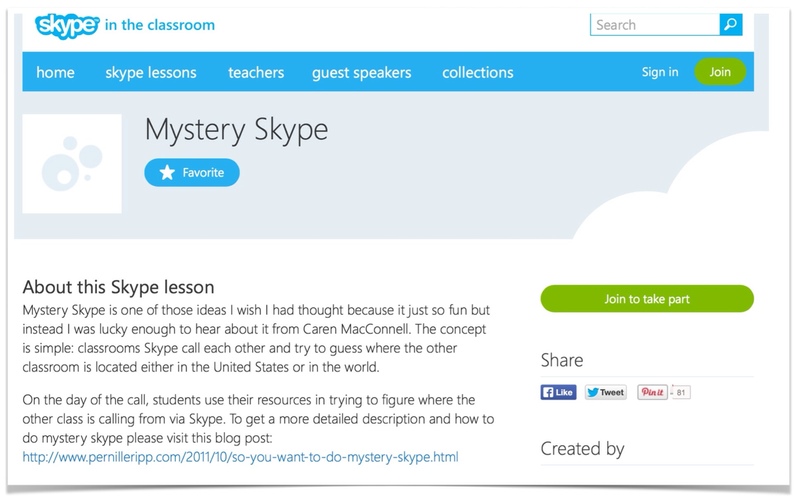 Whether students video conference with FaceTime or Skype (both free) to discuss a book in they read together in Subtext (a social reading app), or to do a Mystery Skype, the iPad opens doors to collaborative learning experiences for students of all ages. Read: Use Facetime in class. It has been a pleasure collaborating with Jonathan and Meg on this post. Thank you very much for reading! We trust that you have learned something new. Please share this article with your colleagues. 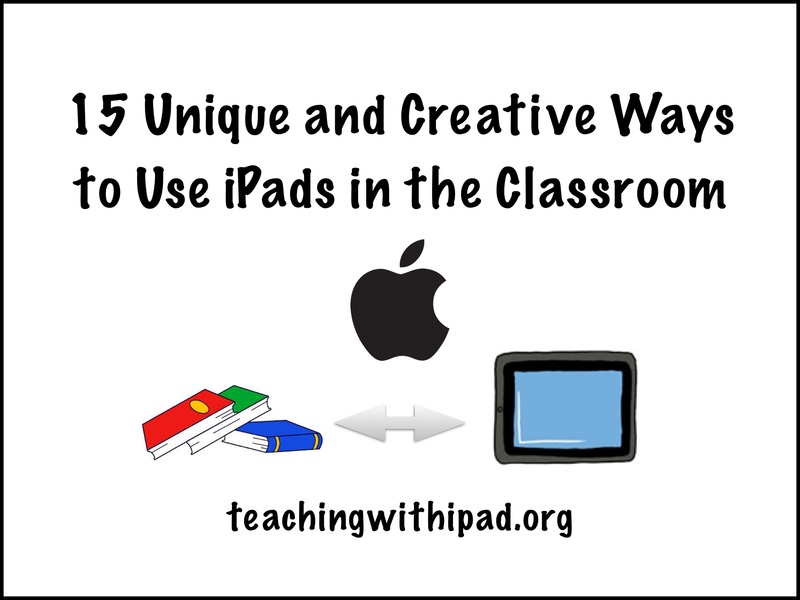 Do you have other ideas that may not be as well known to use your iPad in class? Please let us know in the comments! It is very nice when can use iPad in the Classroom efectivelly. Technology grow up so fast, undirectly it’s make everyone easier to get a lot of information in whatever, include information about lesson in the school. and appearance. I must say you have done a excellent job with this. noot notice this. You must proceed your writing. I’m confident, you’ve a huge readers’ basee already! Hi Steve, very helpful article here. Do you know of an app that would allow me to turn my class into a game show? In other words I ask a review question, and then the app records which device is first to click in? 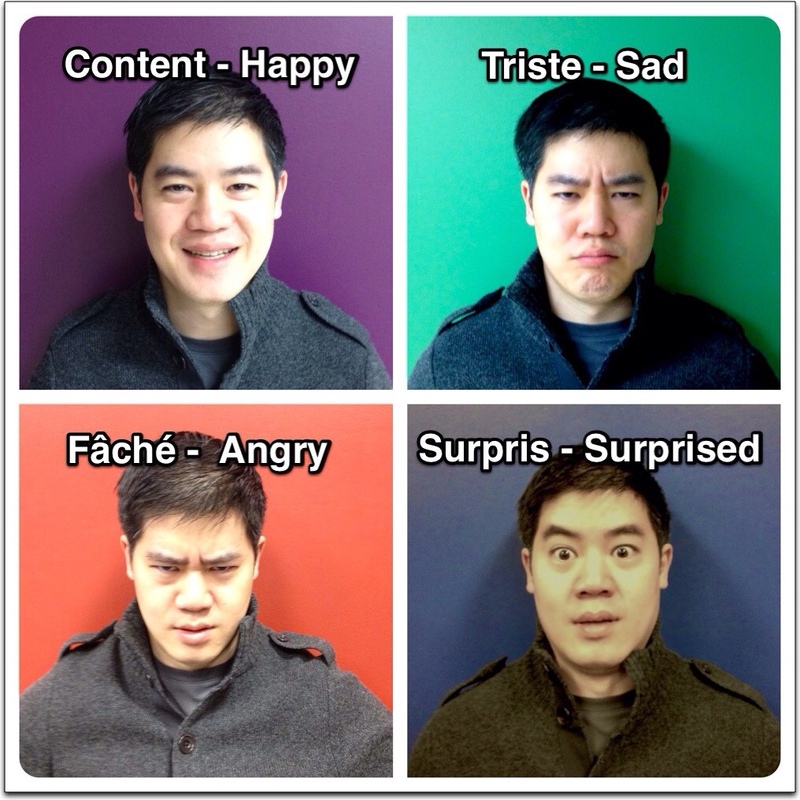 Pingback: 10 Creative Ways to Use Your iPad in the Classroom | ΙΔΕΕΣ ΕΚΠΑΙΔΕΥΣΗΣ ΚΑΙ ΑΛΛΑ ΠΟΛΛΑ! Educational ideas for teachers! website’s post to be updated daily. It includes nice material.